Another talented artist with whom Martin’s Lights renewed a working relationship in 2015 is singer Marc Almond. Having last worked with him in 2012, Marc’s tour manager asked us to do so again this year and Martin’s Lights lit Marc’s “Velvet Trail” European tour in September as well as as one-off shows in Dublin, Belfast, Nottingham and London. 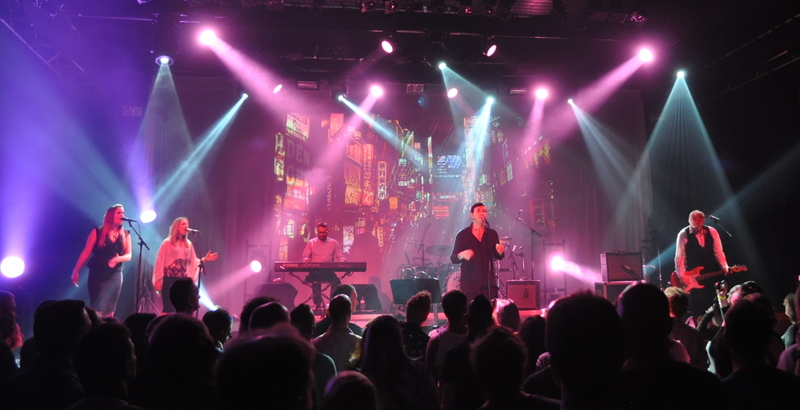 For the tour, which took in The Netherlands, Germany and Switzerland, we supplied a floor lighting package of moving wash lights, LED Pars and mirror balls, and ChamSys control which was used to run lighting and, at some shows, to trigger the Arkaos media server running the show visuals. Click on any photo to see it full size.